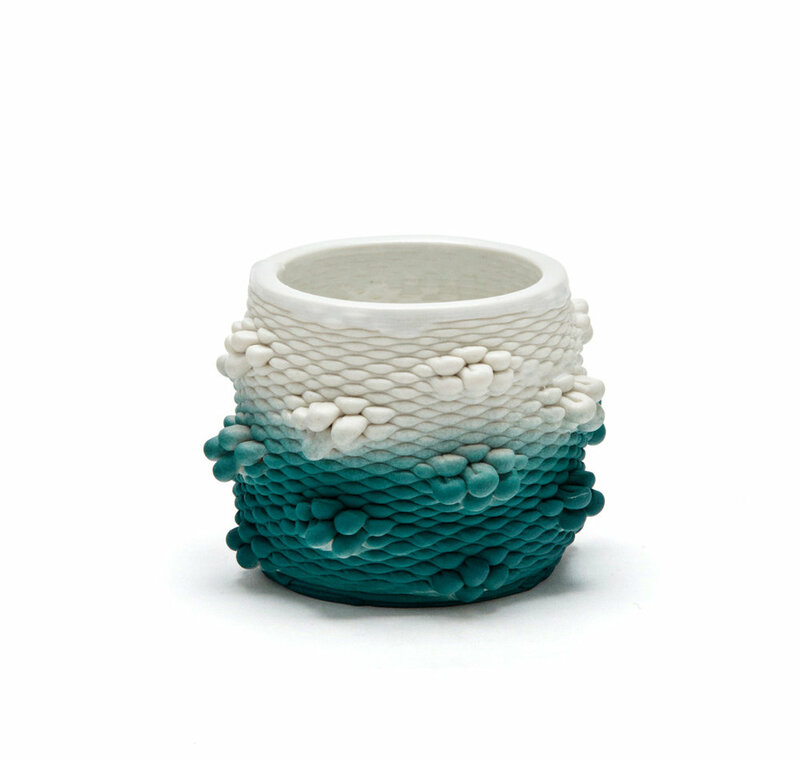 “These 3D-printed porcelain vessels pop with color and texture — and originality. Made in Seattle and finished with a glazed interior, they’re perfect for use indoors to hold succulents or tealights, or bring them outside for a dinner party centerpiece. Available in three sizes and multiple colors. $29–$49 at MadeHere Seattle (Pioneer Square) and foransuon.com”. Also available at Vetri Gallery in Seattle.